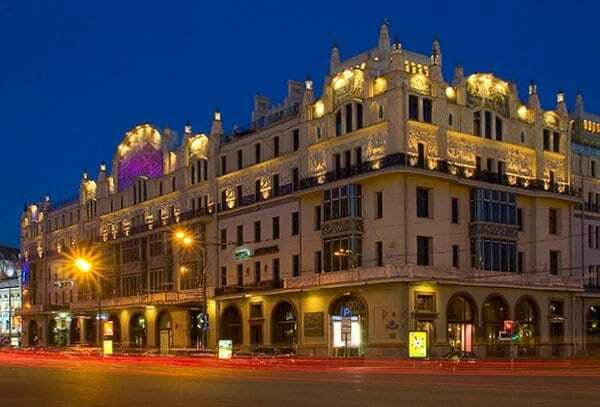 Metropol Hotel, the flagship of Moscow’s hotels was acquired by Azimut Hotels chain of Alexander Klyachin for $276 million. 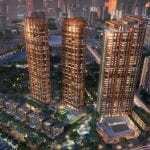 The transaction was made as part of a privatization program in an auction organized by the city of Moscow. Moscow Metropol Hotel has 39,400 square meters, 362 rooms, including 72 suites, 10 conference halls and two restaurants. 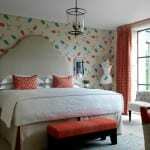 Rates for one night are from $435 to $2,500. Moscow Metropol is Located within 45′ minutes, drive from the airport (35 km) and 15 minutes’ drive from the Leningradsky Railway station. It became a five-star hotel back in 1991 when it was reconstructed. 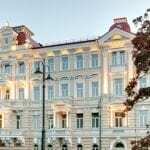 It is located in the city center opposite the Bolshoi Theater and within a 3 minutes’ walk from the Red Square and the Kremlin. The Metropol Hotel building is an outstanding work of art nouveau style. Its construction lasted from 1899 to 1905. The idea of building a huge multifunctional cultural and hotel complex in this place originated from Savva Ivanovich Mamontov, a renowned businessman and patron of the arts. He engaged the best artistic forces of Moscow in the construction of the building. The facades facing the Kitaigorodskaya wall were designed by architect Kekushev. They look simple and austere. To all appearances, their only decorative element are the vertical strips of brick-like ceramic tiles in spaces between the windows. However, the facades along Teatralny Proezd (Theater Lane) and Teatralnaya Ploshchad (Theater Square) are surprising in their abundance of decorative elements. It seems that the authors wanted to show all opportunities of art nouveau, fully translating the principle of the arts synthesis into life. These facades were designed by William Walkott, a young architect. The facades have a clear horizontal articulation. The first tier faces the street and once housed mostly shops, office premises, hairdressers, and also the Hotel’s restaurant and coffee shop which were open not only to the Hotel’s clients, but also to the outside visitors. In the architecture of the first tier they used the arcades motif, it is sectioned by wide glass-paned granit faced arches. They have something in common with the arches of neighbouring buildings facing Teatralny Proezd and Teatralnaya Ploshchad. The second and third tiers are extremely simple they have smooth wall planes sectioned by window apertures.